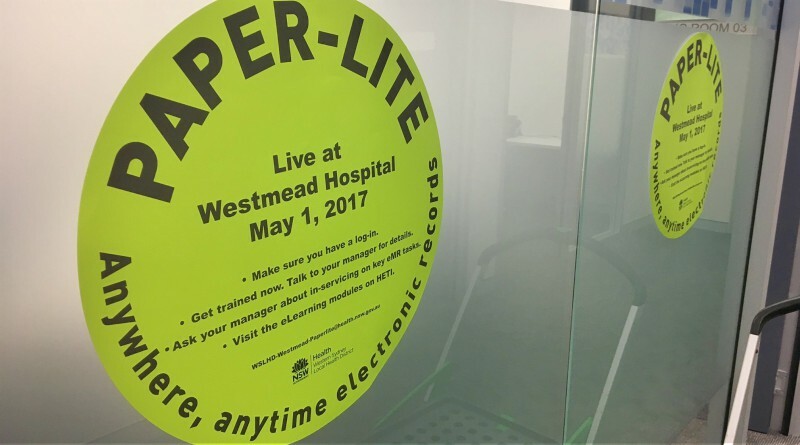 Westmead and Auburn hospitals general manager Andrew Newton used Facebook to spread the word about the rollout of Paper-Lite electronic medical records at Westmead. Westmead’s move to Paper-Lite electronic medical records is one of the biggest steps forward in the hospital’s history – and no-one is more excited by the switch than Westmead Hospital general manager Andrew Newton. Paper-Lite will provide access to patient records anywhere, anytime. To make it happen, 550 new computers, laptops and workstations on wheels have been provided, and thousands of people have been trained. An army of local coaches from clinical areas across the hospital are in place as the roll-out continues, to provide support with the switch. The roll-out will continue until May 19. Paper-Lite local coaches hit the wards at Westmead Hospital. 30 Jan, 2018, 1:29 pm Sia Anthopoulos Comments Off on Can you hear that? It’s the sound of a new home!